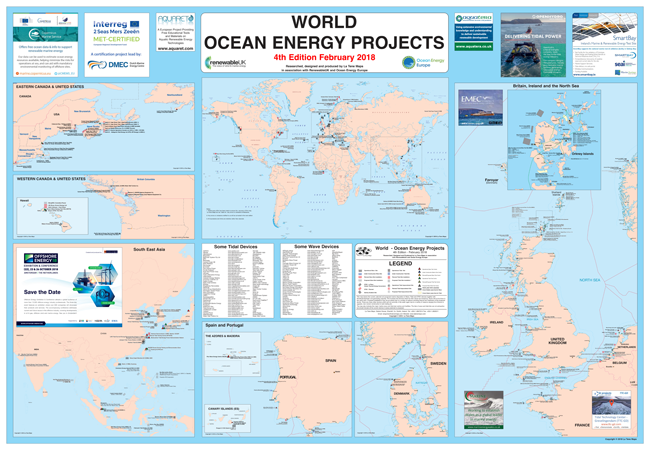 This map is published in association with Ocean Energy Europe and RenewableUK and is the only map available which shows the distribution of ocean energy projects around the world in place and planned. 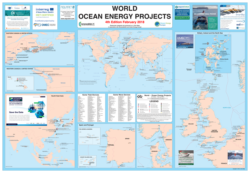 It includes wave, OTEC, tidal stream and tidal impoundment projects. 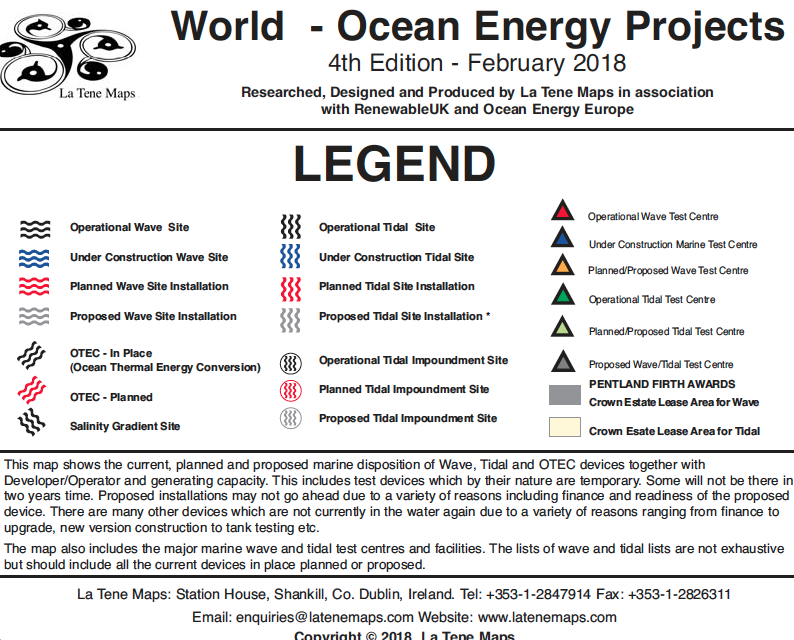 The sheet has a central map of the world showing the location and disposition of wave and tidal projects. Insets appear left and right of this. 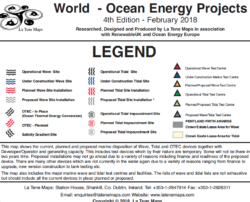 The left-hand side of the sheet are enlargements of the area of the USA and Canada as well as South East Asia showing the project areas in detail. The right-hand side of the map has enlargements of areas of Europe. 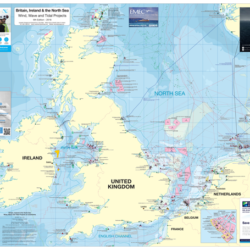 A chart is also listing and providing links to the major wave and tidal devices.